No matter how long the winter, spring is sure to follow. 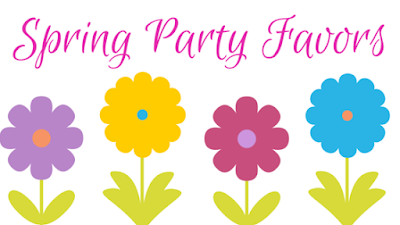 With the warm sun and blooming flowers right around the corner, it’s time to start planning those outdoor spring parties! No matter the theme of your celebration, always a crowd favorite are glitter tattoos as party favors. 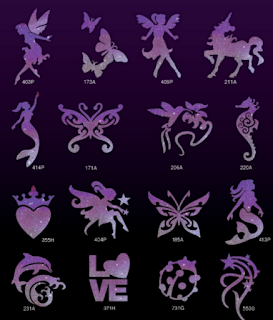 We’ve rounded up a list of our favorite spring-themed stencils so you can easily create those stunning glitter tattoos. 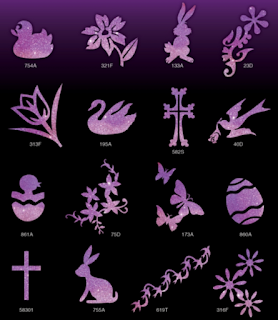 This collection of stencils provides a wide variety of options including bunny rabbits, Easter eggs, and spring flowers. This Easter glitter tattoo stencil pack has 16 different designs and is great for a large kids’ party. Hosting a St. Patrick’s Day Party? 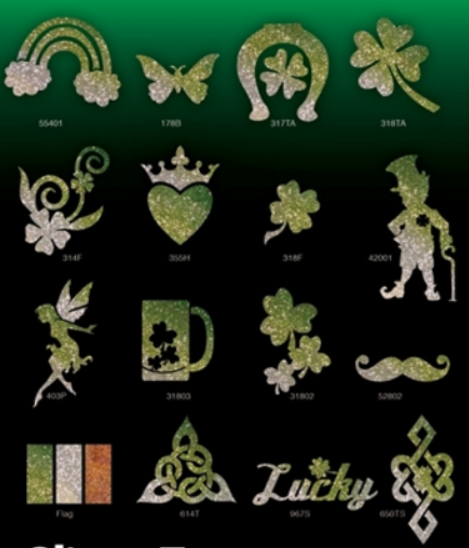 Celebrate luck and good fortune on St. Patrick’s Day with some shimmer tattoos! This collection includes Irish and St. Paddy’s Day favorites like the shamrock and rainbow stencils for a total of 16 St. Patrick's Day stencil designs. Hosting a Fairy Garden Tea Party? The ideal party favors for a tea party are all things girly and cute! This awesome “GirlPower” collection of stencils features a unicorn, several butterfly options, and a ladybug. One of the best parts about a picnic is being outside surrounded by beautiful flowers! So why not choose flower stencils? Pick among a trio of flowers, a spiral stem flower and a corn nut flower! These are some of our favorite floral designs so you can replicate some of nature’s beauty with glitter! We hope you find some inspiration with the upcoming season change and that you find all the supplies you need on our site. Want to see a tutorial on a particular glitter tattoo? Let us know what you would like to learn in the comments below! Superb spring party favors! Truly amazed to see these cute favors. Have been seeking suggestions for bridal shower favor ideas. My cousin’s bridal shower will be hosted at one of iconic local lofty spaces next week.